PoPville » New Farmer’s Market Opens Near Navy Yard Wed.
New Farmer’s Market Opens Near Navy Yard Wed.
3, originally uploaded by Prince of Petworth. There’s been a lot of buzz about the Farmer’s Market opening near the White House but I also thought I’d note another new one opening up. 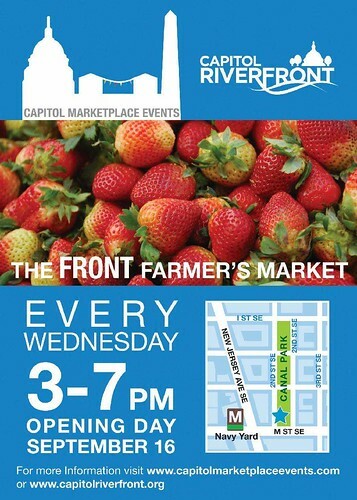 First day is tomorrow at Canal Park 200 M Street SE starting at 3pm. TJ Hmmm, always wondered why it was named Chop't. DogMama Your dog walker sounds pretty awesome, by the way.